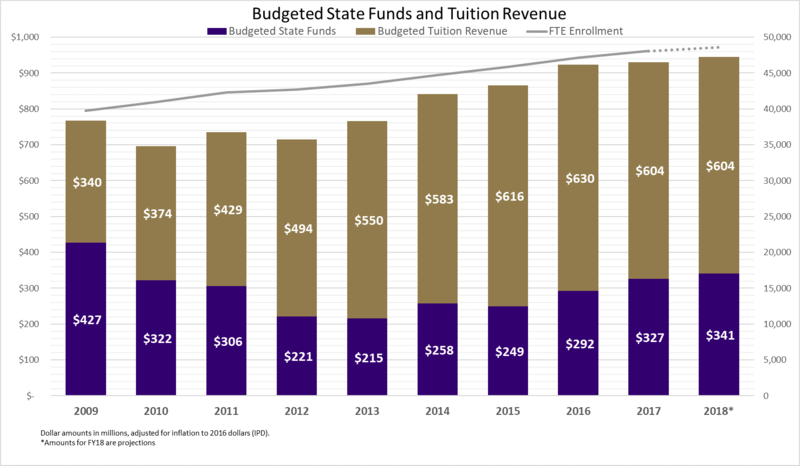 Please see the UW and the State Budget Process brief for an overview of the University of Washington’s interaction with the state’s budget process, legislative timelines, key terms (including budget levels, fund types, etc. ), and the allotment process. Operating and capital requests sent to the Office of Financial Management (OFM) after review by campus stakeholders and decision-making bodies. Instructions and materialsthat were sent to units and used to gather proposals for state funding in advance of each biennial budget session. Summary of proposalsreceived from units. As usual, state budget proposal details are provided via Planning & Budgeting briefs. Information about the UW’s annual budget discussions, budget processes, and spending rules and best practices regarding provisos and special state appropriated funds are available under the UW Budget tab. 2019-21 Operating Budget Request: To see the entire budget request, including mandatory reports, see OFM’s Agency Budget Request website, enter “2019-21 Regular” in the “Select Budget Session” dropdown and “360 – University of Washington” in the “Select Agency” dropdown. A compilation of all of the UW’s individual budget requests is here.